One look at the beautiful pool and water view and you will be SOLD!! As you enter the home there is tile flooring that extends through foyer, hallways and into family room, kitchen and laundry room. The formal living room and dining room are located at the front of the home on each side of foyer. The family room and kitchen area overlook the pool and pond with access via French Doors. The kitchen is crisp and clean with gorgeous new granite, tile backsplash, newer appliances and breakfast bar. The spacious master suite provides plenty of natural sunlight and overlooks the water. Features a huge walk in closet and master bath with garden tub, separate shower, dual sinks in vanity with make up space in between. The three way split floorplan provides privacy for everyone. All secondary bedrooms have laminate flooring. New plumbing fixtures, ceiling fans and lighting fixtures throughout. Save money on your water bill as irrigation is pumped from the Springfed pond. Pool decking has been recently painted and the lanai has been totally rescreened with new insulated roofing and ceiling fans on lanai. Oversized driveway gives you plenty of room for extra parking. 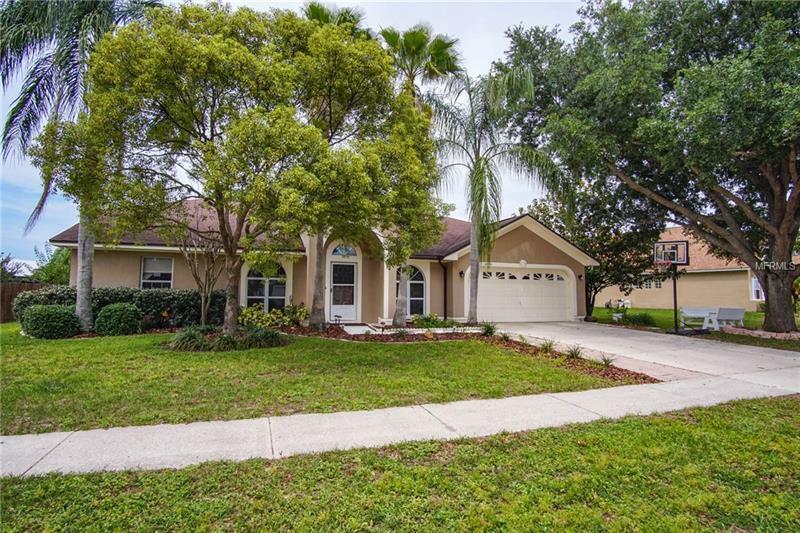 Located in a convenient neighborhood with great schools, no CDD and low HOA. There is a community park with basketball courts, nature trails and play area. This home has been well loved and maintained by the original owner. Come home and just relax in your private outdoor living space or grab a kayak or canoe and do a little fishing!! Hurry though! !